Washington State family attorneys assist divorcing couples in resolving matters of family law. A large percentage of individuals dealing with family lawyers find themselves in confusing, depressing and complicated situations which necessitate the skills of an attorney. They are at the point where they want to end their marriage. Separation after years together can be difficult. 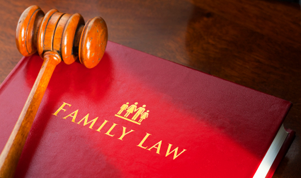 Family law attorneys can help divorcing couples resolve many family law issues. Their clients are not alone; compassionate lawyers specializing in family law can assist during this difficult transition. These plans form the schedule created by the spouses outlining the children's care during the divorce proceedings and after the marriage has been dissolved. They include the time division the child will spend with each parent; which parent will have primary decision making for medical and physical care, as well as daycare and other areas of the child's welfare. Family lawyers will help to provide a plan that is beneficial for the child and acceptable to both partners. Both parents take responsibility for supporting their children in Washington. Family attorneys help spouses determine the percentage of child support each will pay based on their individual incomes. If the amount becomes difficult to pay, the family law attorney will fight to get a more reasonable division. This is often the most difficult decision divorcing couples face. Stressful fighting can erupt over which parent the children will live with. If the spouses can't agree on an arrangement that is accepted by both, their lawyers will help them decide what is in the children's best interests. When a father is fighting for the custody of a child or wants to prove biological paternity, a family attorney can help him in the courts. Washington State family law makes allowances for individuals having a hard time paying child support. A family law attorney can assist the parent to take advantage of the changes that can be made in the initial agreement. At times the parent given child custody may no longer qualify to provide for the children. When this occurs, a family lawyer will support and guide the non-custodial parent through the process of taking over the children's care. Sometimes one spouse or the other finds it necessary to relocate. The children may need to be relocated in situations where domestic violence is involved endangering their well-being. Schooling in another area may provide better opportunities for the children. Each situation is unique. A family law attorney understands all the intricacies in obtaining approval for the move or in the case of the other partner, filing an objection. Abuse by one spouse or the other is a sensitive area in family law. Washington State family attorneys are always concerned about the safety and well-being of the children involved. If it is suspected that the children are being physically, verbally or sexually abused, the family lawyer fights to protect them from the parent perpetrating the abuse. Sometimes an ex-spouse refuses to comply with the court's orders. That person is considered to be in "contempt of court." The individual violating orders from the court will suffer the consequences should they continue to be uncooperative. Lawyers fight to protect the rights of the parent who is following the plan supported by the court. Decisions made in family law situations will affect the individuals involved for years ahead. It is important to have an experienced, trustworthy family law attorney helping to solve any problems. If both spouses resolve the main issues in their divorce amicably, many matters still require the expertise and skill of a lawyer. An attorney will prove necessary in making important decisions, resolving problems out of court and protecting the rights of any children involved. The goal of family law attorneys is to help with collection of child support and modification of child support and other court orders. Their initial consultation is free in order for the client to understand what their lawyer will accomplish during and after the divorce proceedings.